"SMBG is a Powerful and Useful Tool in the Management of Diabetes"
Q. What is Self Monitoring of Blood Glucose (SMBG)? 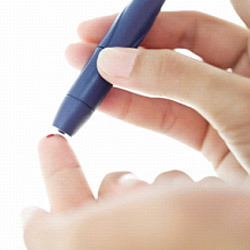 Self monitoring of blood glucose (SMBG) refers to regular blood testing by yourself at home. SMBG is very important in the management of Diabetes and helps you in knowing how bad or good you are doing as far as your "Diabetes Management Program" is concerned. You should not depend upon your feelings or symptoms, as you may feel absolutely fine even if your blood glucose is very high. One reading on the day of your visit to doctor can't be assumed to be your blood glucose levels on all days between your two visits. Thus daily monitoring is important to know where you stand and to modify your treatment. Always learn to monitor your blood glucose yourself with the help of a glucometer. Monitoring of blood glucose helps in knowing the impact of various foods, activities & medicines on blood glucose levels. Urine test for glucose is not preferred as it depends upon renal threshold which varies depending upon the state of kidneys. Normal renal threshold is 180 mg% and it is more in nephropathy. Urine test for ketones is important in patients with diabetes esp. when blood glucose is very high esp. during stress, fever or infections. Glycosylated Haemoglobin (HbA1c) should be done at least once in 3 to 6 months to know the mean blood glucose levels during last 3 months. 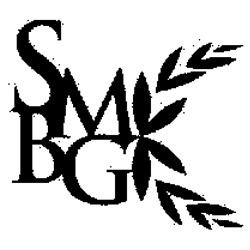 What is the need for SMBG? Guides you to take action! Serves as a wake up call- if you've been irregular with medicines, exercise or diet! In case of very high sugar levels- reaching hospital in time or starting insulin makes a great difference to treatment and its outcomes. It keeps you in touch with Diabetes and your responsibilities about managing it and preventing complications. Q. What are the benefits of SMBG? It helps in determining which foods are the best for you, how well the medication regime is working and to reduce fear/anxiety about hypoglycemia. The benefits tend to be most pronounced when you have commitment and fully understand when to test blood glucose and how to interpret the results to get the best out of it. Q. When to check Blood Glucose? 3:00 am in the morning to know if you've been having too high unexplained fasting levels or episodes of hypoglycemia early mornings. It should be done at least 2 or 3 times a day as long as blood glucose is not controlled, and at least once a week even if blood glucose is well controlled. It should be done more frequently in certain situations where more tight control is required.